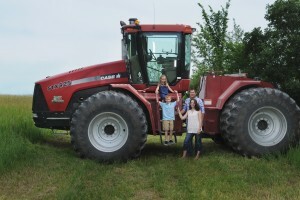 Today you will get to meet a farm family here in my adopted home state that is really big on conservation as they grow corn, soybeans and wheat. 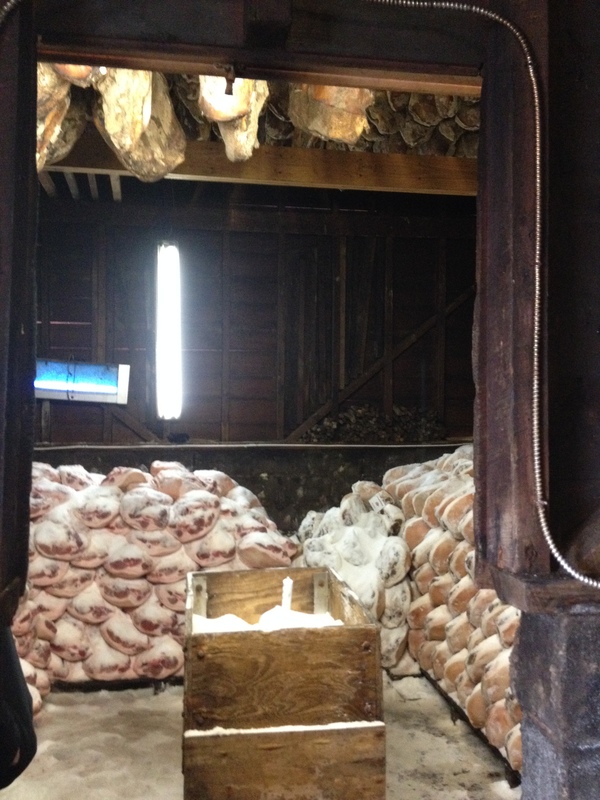 A a farm in northeastern Washington that does things on a small scale. And one in Virginia that does some things like cotton on a big scale and others on a small one like chocolate covered peanuts & ham sandwiches! A few years ago, I met a Missouri farmer at a meeting who was working with some programs to measure conservation. Fast forward to years later and I meet his wife Kelly through social media! So it’s an honor to introduce you to their family! D is for Daddy’s Tractor! Hi, I’m Kelly. Even through I grew up in a small town I was pretty naive about agriculture until I married my husband Brian. It’s been a steep learning curve for me, but now I like to share what I know by blogging about our adventures on Marshall Farms at www.daddystractor.com. Our farm is in northwest Missouri and we grow waxy corn, soybeans, and wheat. We’re pretty big into two things on our farm; soil conservation and making use of new technology. If you’d like to follow my on my blog, Instagram or Twitter (both @daddystractor) you’ll also meet my assortment of backyard animals and our cute kiddos! I was in Spokane earlier this year and had the chance to meet Angie Barton. Angie has a small farm in Colville, WA (in the mountains of northeastern Washington State). On our farm, we milk 3-5 Jersey cows fed our alfalfa hay that we grow. We also milk Alpine goats and sell the raw milk from both the cows and goats as a certified raw dairy along with eggs from our laying hens here on the farm. We also grow 180 acres of alfalfa and alfalfa grass hay to sell. Besides making hay and milking a few cows, we have all types of animals including poultry and emus, sheep, some horses and a few pigs that we raise from our extra milk. We enjoy giving farm tours to everyone from pre-school groups to retirement homes, giving a glimpse to farm life to those that don’t farm and helping debunk myths about farming. The best part about farming is that it’s a lifestyle that involves our whole family. We provide food for our family and products for others while taking care of the land and animals. Each person in our family contributes and we all learn so much from the reality of life and death, birth and sickness, hard work and commitment and we don’t even leave home! Anticipating new life in the spring when the lambs come to the long hours put in making hay to the daily commitment of milking cows, everything we do helps us appreciate and understand what it means to be farmer and gives us the satisfaction of a job well done. This farm isn’t one that is really into social media (but they do have a website and Facebook page for Darden Country Store! ), but I had to include it here cause I’ve been meaning to write something up for a long time! Last winter I finally had the chance to go visit DeeDee Darden. It had been a dream for years…. No, I am not joking! From the first time I met her and she started telling me how they cure hams, grow cotton and peanuts… well, she had me at hello. 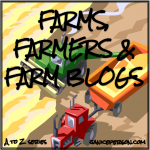 What do you think of the Farms, Farmers and Farm Blogs A to Z project so far? I have to admit the routine of getting posts together is beginning to feel like a good rhythm. I will take Sunday off of posting but I have a lot yet to do this weekend to be sure next week stays on schedule! If you haven’t subscribed yet, feel free to go ahead! I love these posts! There is such variety in agriculture, and you are doing a great job of highlighting different farms across that spectrum. Thank you! Glad you are enjoying them! I sure am!